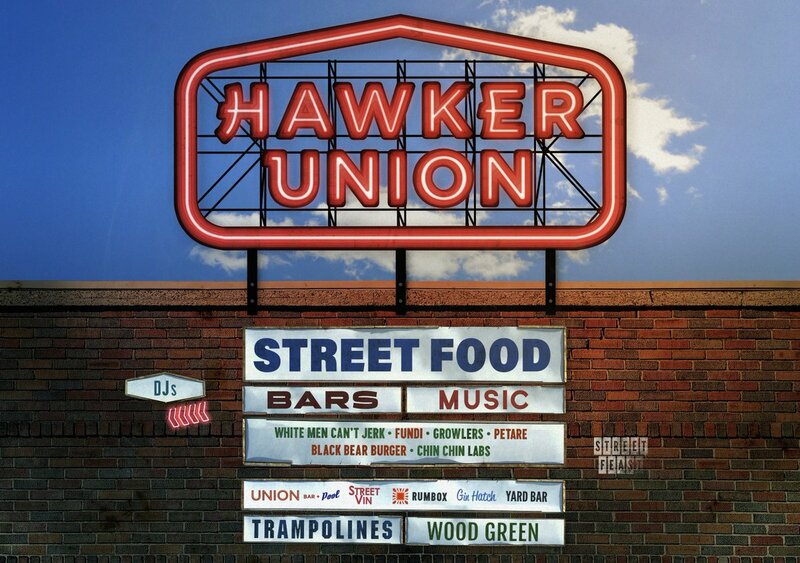 This weekend Street Feast is opening it's 6th market, Hawker Union, in Silsoe Road, N22. In an area referred to as Clarendon Yards in this week's Time Out, it will open on Saturday 30th June and Sunday 1st July as a 'no lease, no licence FOOD RAVE', before opening Fridays - Sundays from 6th July. There are six food traders - inc Fundi pizza, Petare, and Black Bear Burger, as seen on BBC 2's Million Pound Menu. Well done to Street Feast for opening yet another market! 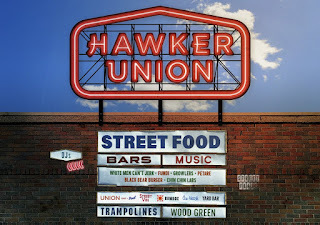 "Hawker Union is our NEW street food market in Wood Green. We’ve got six traders, five bars, a BIG sound system and a sun-trap yard on the old Olympia Industrial Estate. Families and dogs welcome. To kick off our first weekend we’re throwing a no lease, no license FOOD RAVE. Join us in the sunshine on SATURDAY 12PM – 12AM AND SUNDAY 12PM – 12AM for thousands of boozy giveaways: 500 Coronas, 250 Tequila Coladas, 300 ice lollies, Proseccos, Cornish Orchards. Fundi pizza, Petare, Black Bear Burger, White Men Can’t Jerk, Growlers, Chin Chin Labs."